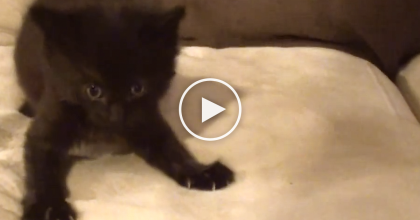 This itty bitty little kitten just cannot force himself to stay awake, when he starts eating, he cannot hold it anymore, so he completely falls asleep! 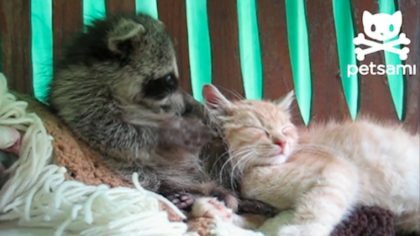 He’s only 2-weeks old, but cuter than ever and has a great appetite, but ONLY when he’s not sleeping, lol! 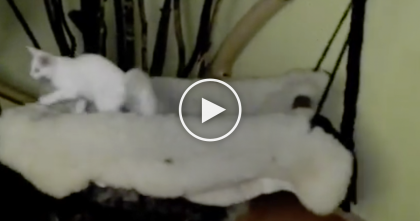 They Made A Swinging Bed For Their Cats… Now Watch How The Cat Reacts! Totally Awesome, GENIUS. 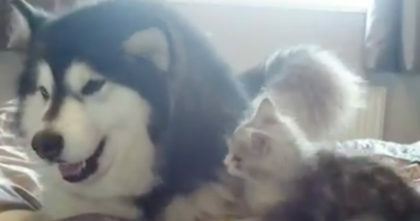 Kitten is attempting to attack a big fluffy doggie… Now watch the results, this is the CUTEST EVER!! 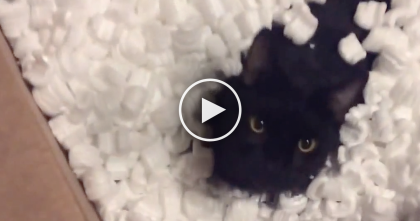 This Cat Jumps Inside A Box Of Packing Peanuts, Now Watch What He Does Next… LOL!